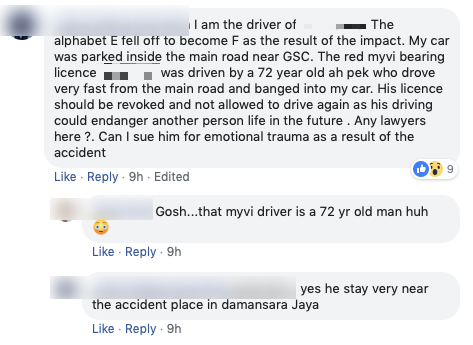 The Myvi was allegedly being driven by a 72-year-old man. 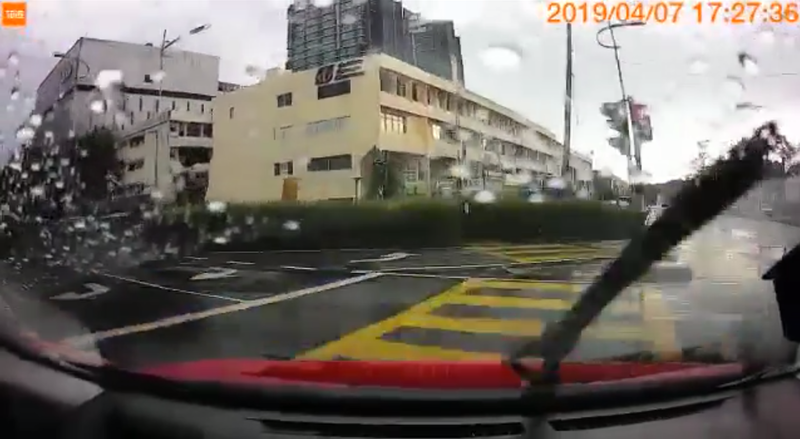 The accident, which occurred in front of the GSC office near Atria Mall, was caught on the Myvi's dashcam in a 35-second video. The video was shared on Facebook yesterday, 12 April, and has garnered over 3,000 shares at the time of writing. Approaching a T-junction, the driver seemingly lost control as the car can be seen flying above a bush. The parked car, which had no passengers inside, softened the Myvi's landing. 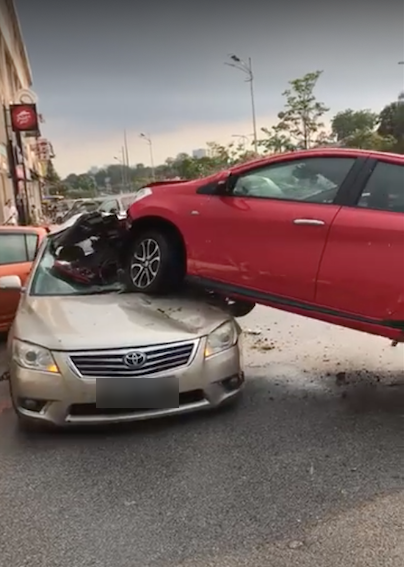 A tow truck was called to pull the Myvi off from the car. "Flight mode: ON," wrote a Facebook user. 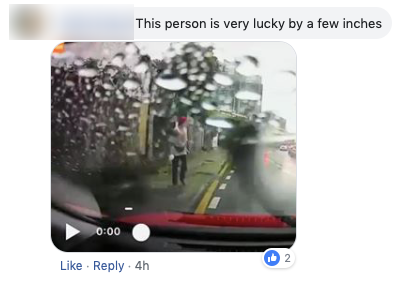 Another netizen pointed out that a lucky pedestrian was only inches away from being hit by the red car. 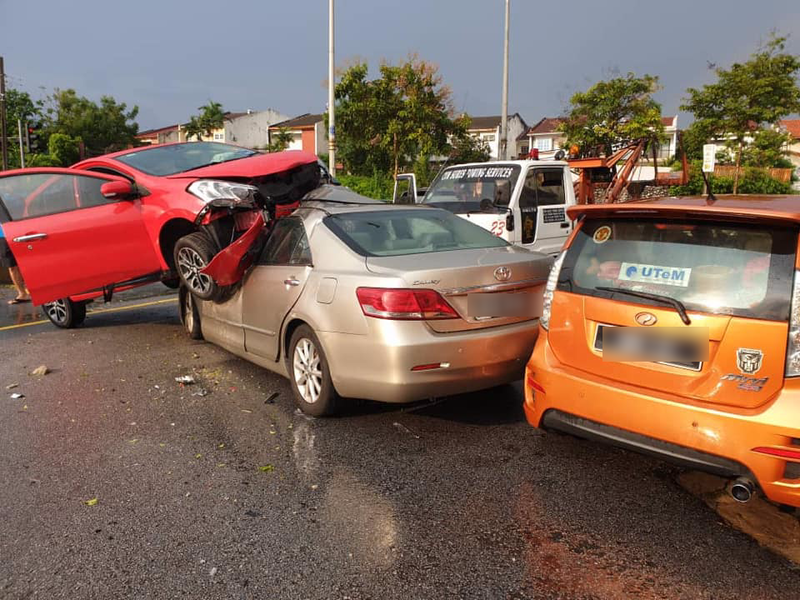 He alleged that the driver of the red Myvi was a 72-year-old Chinese man, and argued that he should have his license revoked to prevent similar accidents from occurring in the future. "Any lawyers here? Can I sue him for emotional trauma as a result of the accident?" he added. The duo decided to recount the assault after failing to receive the compensation they were promised.